The EasyChem Plus discrete analyzer meets the demands of the changing marketplace, without compromising performance. EasyChem Plus is a flexible instrument able to perform several different tests all on the same sample, without operator intervention. EasyChem Plus requires no specific experience to operate, and can be learned by anyone in a matter of minutes. 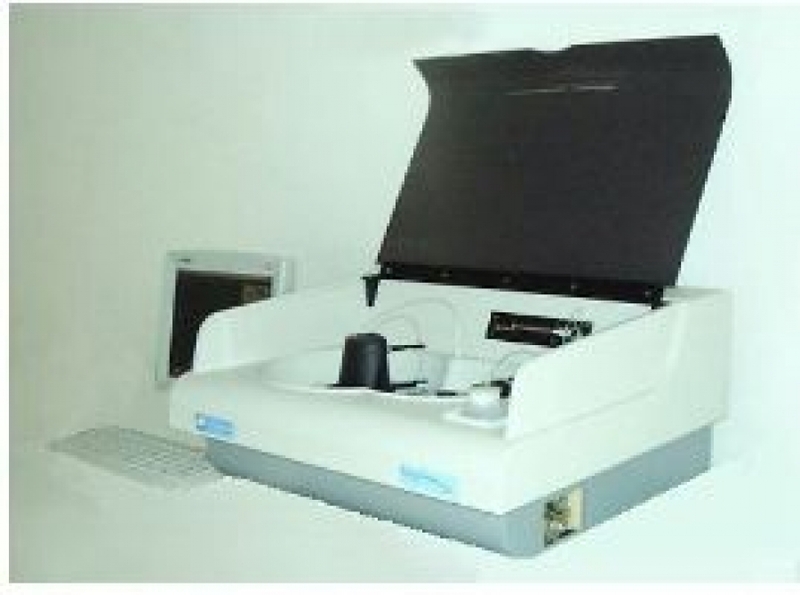 Operation consists of simply loading the sample tray, selecting the tests to be performed, and “clicking” start. It’s that simple! Labor costs are greatly reduced and productivity increased, by enabling the technician to perform other tasks. EasyChem Plus does all the work. No longer is there any variation in results based on who the operator is, or what kind of day they may be having. EasyChem Plus performs up to 120 tests per hour of true unattended operation, with the highest possible data quality, regardless who “clicks” start. 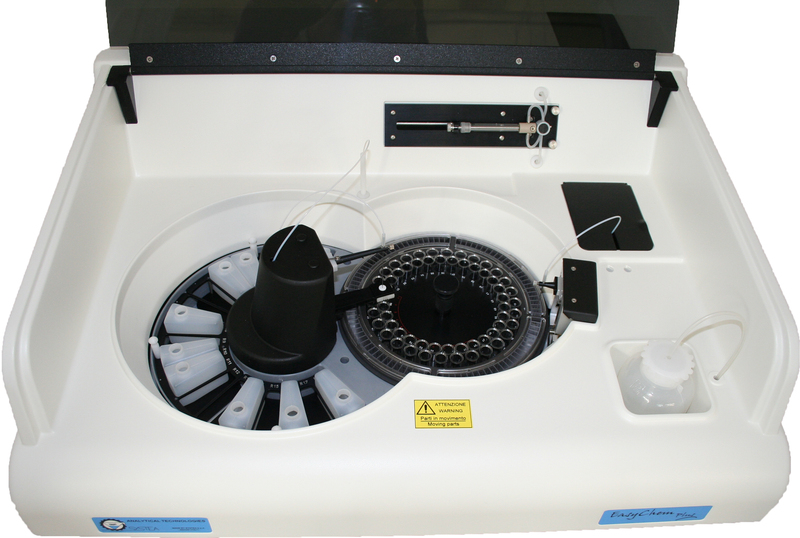 EasyChem’s sleek design, ease of use, user friendly software, and price, makes it attractive to most laboratories that perform automated or manual wet chemistry. Cd coil reduction option for Nitrate. Software EASY to use and to learn; short training, no waste of time to create specific hydraulics background. The Optical Density (O.D.) is processed by the EasyChem Plus Windows software on an external PC. The final results are printed in a report containing all relevant information including: sample ID, sample O.D., date, QC values and parameters analyzed. Real time results and O.D. values are visible during the run.